Young Stribling knocked out 125 opponents, setting a record that only Archie Moore topped. Stribling failed to win a championship, but his career was still going strong when he died in a motorcycle accident at the age of 28. Stribling's mother, a vaudeville acrobat, claimed she wanted him to be a boxer from the time he was a baby. "When he was six weeks old, I started rolling him around the bed just as you would a lump of dough. When he was two years old, I started him on leg and arm exercises," she later told an interviewer. Stribling's parents put him and his kid brother in their vaudeville act as juvenile boxers. When the family retired from the stage, they settled in Macon, where Stribling got formal boxing instruction at the YMCA. His first professional bout was a four-round decision in 1921 over a tough Atlanta newsboy named Kid Domb. A bantamweight at age sixteen, Stribling added bulk steadily. He fought successfully as a middleweight in the Atlanta area and then, in 1923, gained national attention when he was matched in a non-title bout with light heavyweight champion Mike McTigue. Their first fight ended in a hotly contested draw. When the two met again six months later, Stribling knocked McTigue down in the tenth round, but New Jersey boxing regulations stipulated that only a knockout could be counted as a victory. Stribling had to be content with a "newspaper win," granted by ringside reporters. For all but a brief period, Stribling was managed by his father; his mother, "Ma" Stribling, handled much of her son's training. Stribling beat Hall of Famer Tommy Loughran twice in 1924, and was second in The Ring's rankings of light heavyweight contenders that year. He would remain in The Ring's top ten rankings, as either a light heavy- or a heavyweight, through 1931. The magazine ranked him as the top heavyweight in 1928. 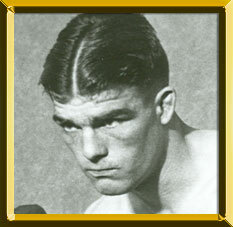 A 1926 title bout with light heavyweight champion Paul Berlenbach was a disappointment for Stribling, who had overtrained and tired badly in the later rounds. He scored a string of knockouts in 1928, however, and the next year faced heavyweight Jack Sharkey. Sharkey was staggered by a right to the heart, but when Stribling failed to follow up with more punches, Sharkey recovered. Later Sharkey said, "Had our positions been reversed, I could-in fact, I would-have murdered him." Jim Corbett considered Stribling the best feinter he ever saw but lamented Stribling's unwillingness to follow up with a solid punch. However, Stribling, recorded over one hundred knockouts using his "buckshot" punch, a right to the jaw following a right-left feint. Stribling got another chance at a title when he fought heavyweight champion Max Schmeling in 1931. Stribling was reeling by the tenth round and was knocked down in the fifteenth. Referee George Blake stopped the fight with just fourteen seconds left in the final round. Again, it was speculated that Stribling had overtrained. Stribling's last fight was a win over Maxie Rosenbloom in 1933. In October of that year, Stribling was struck by a car while riding his motorcycle home from a round of golf. He died in a hospital two days later.